Julian Clary on comic musical acts from bicep-flexing Mr Muscle to tea tray head-bashing Bob Blackman. With Ken Dodd. From June 2009. 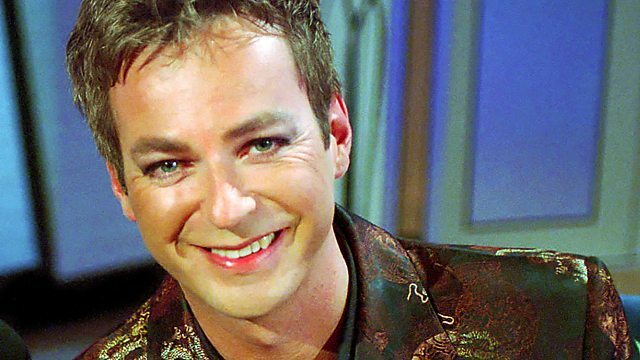 Julian Clary pays tribute to the wit and ingenuity of comedy musical acts. He considers the appeal of acts like TV's Mr Muscle, Tony Holland, who won Opportunity Knocks six times in a row by flexing his biceps to the tune of Wheels Cha Cha, and Bob - AKA Tray - Blackman, whose act consisted of bashing a tea tray on his head while singing Mule Train. Julian also considers how the genre has evolved from the heyday of music hall theatre, and talks to Ken Dodd and Jim Tavare.